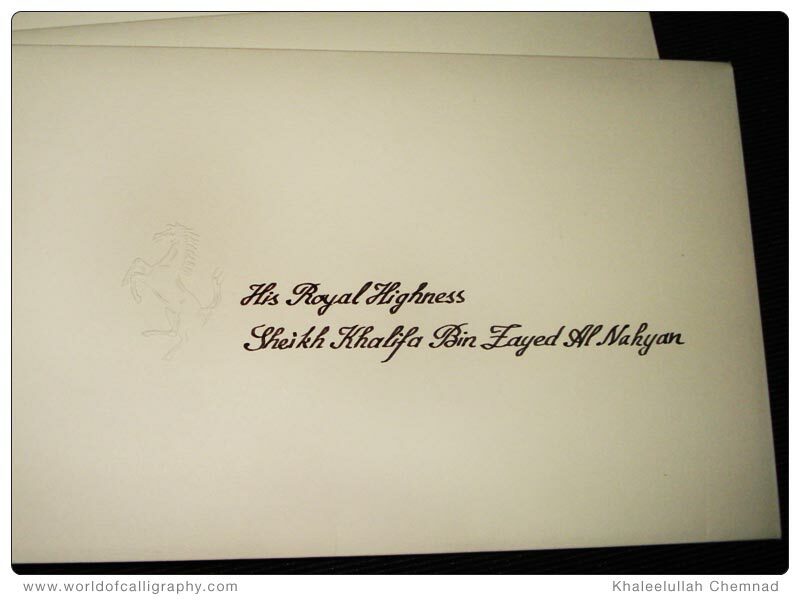 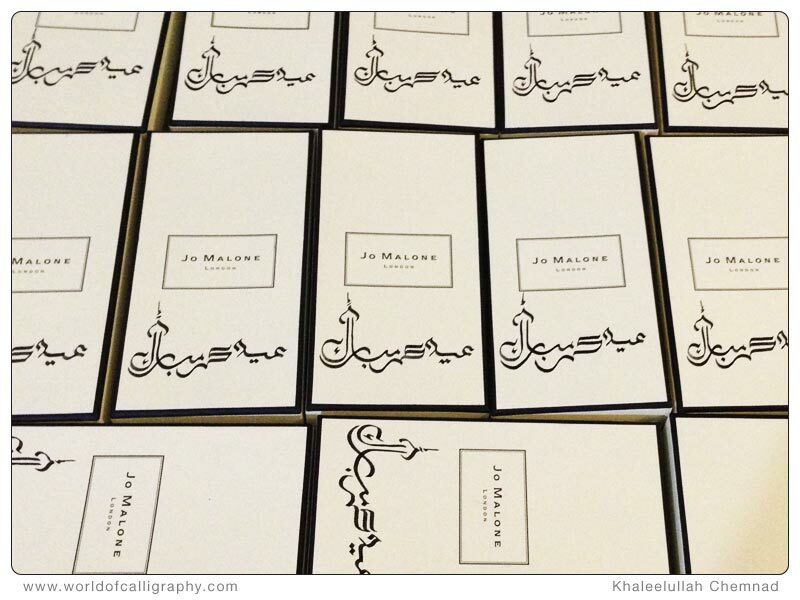 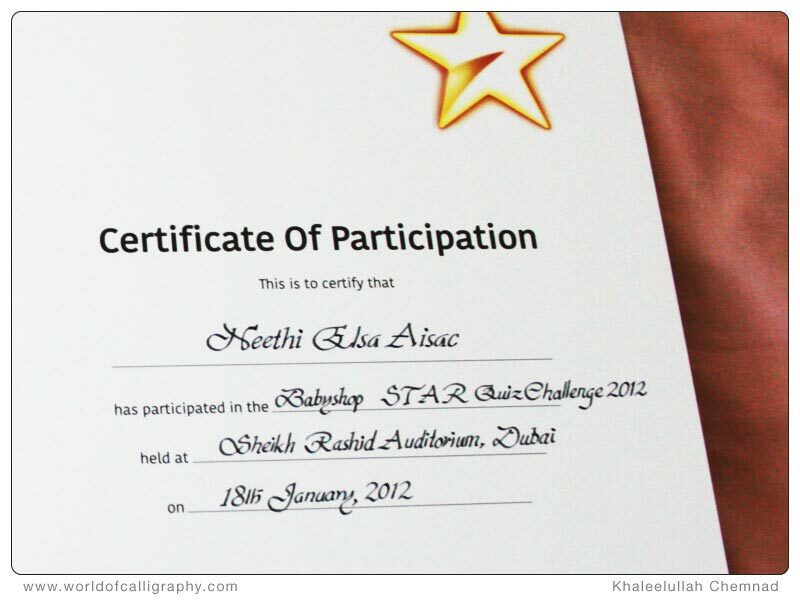 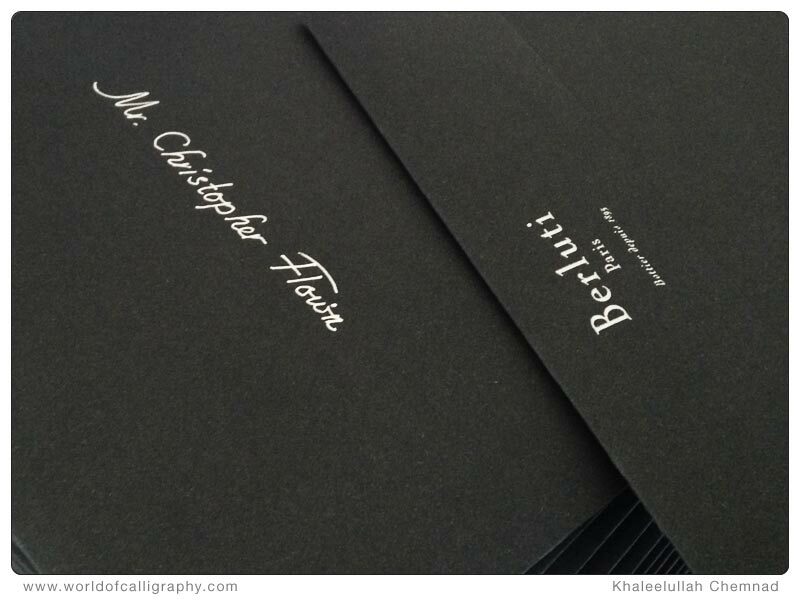 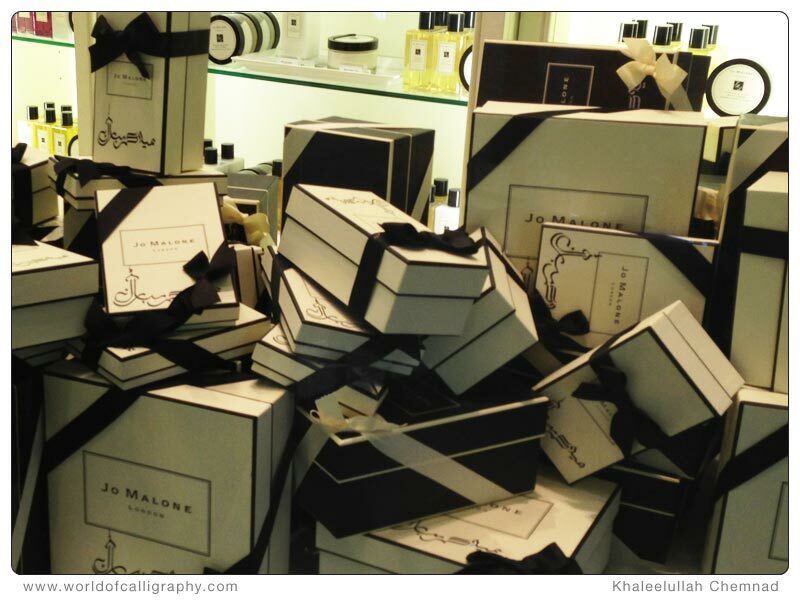 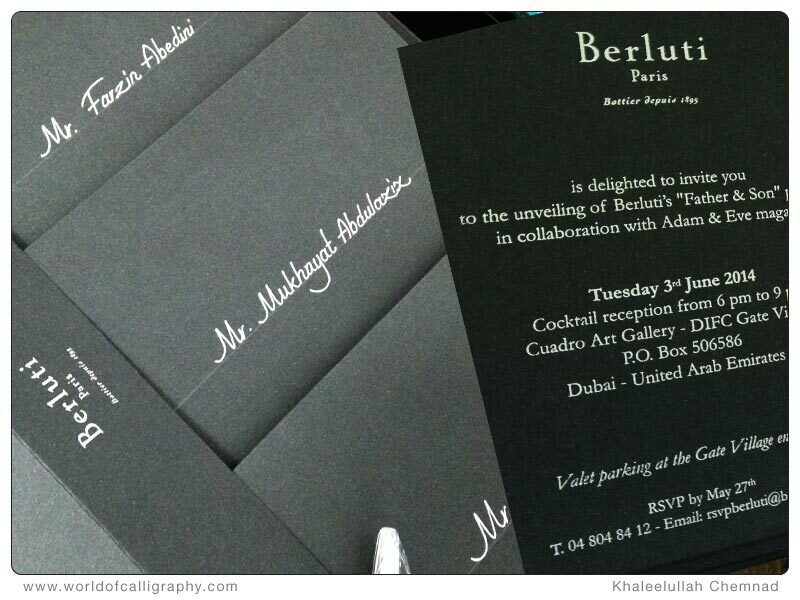 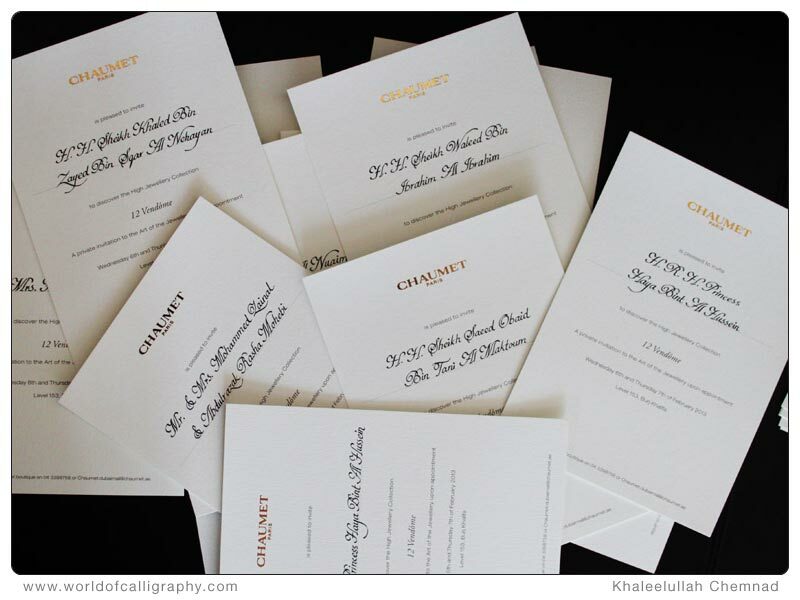 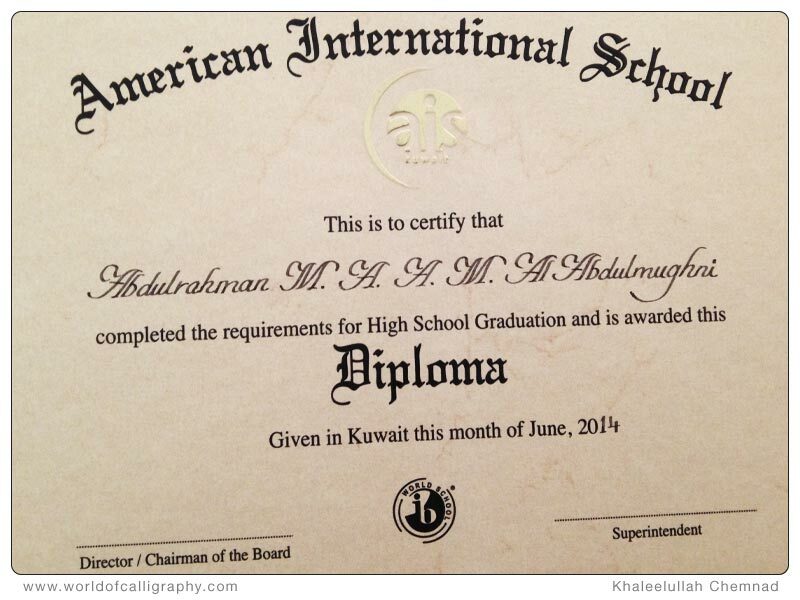 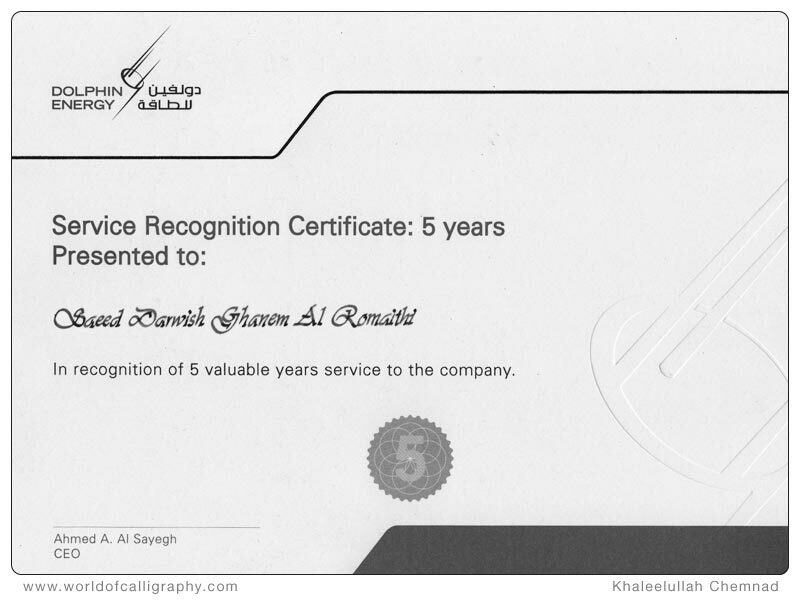 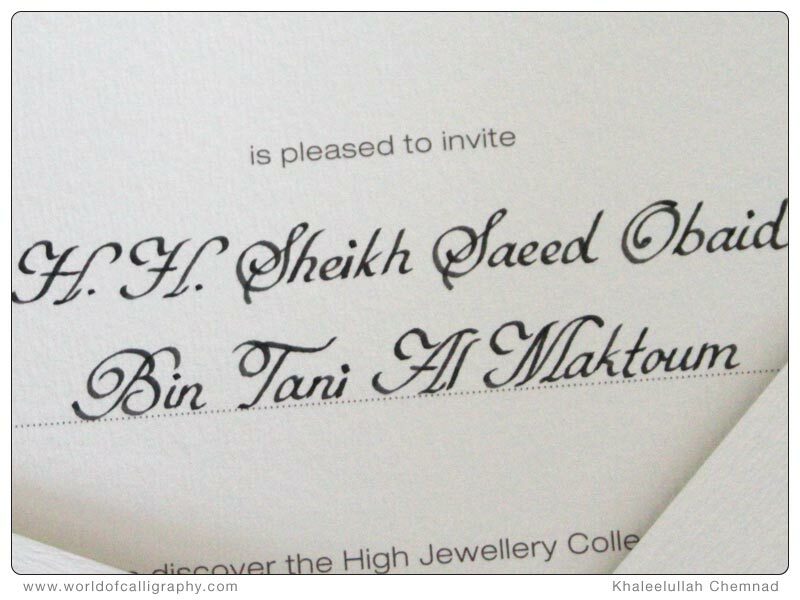 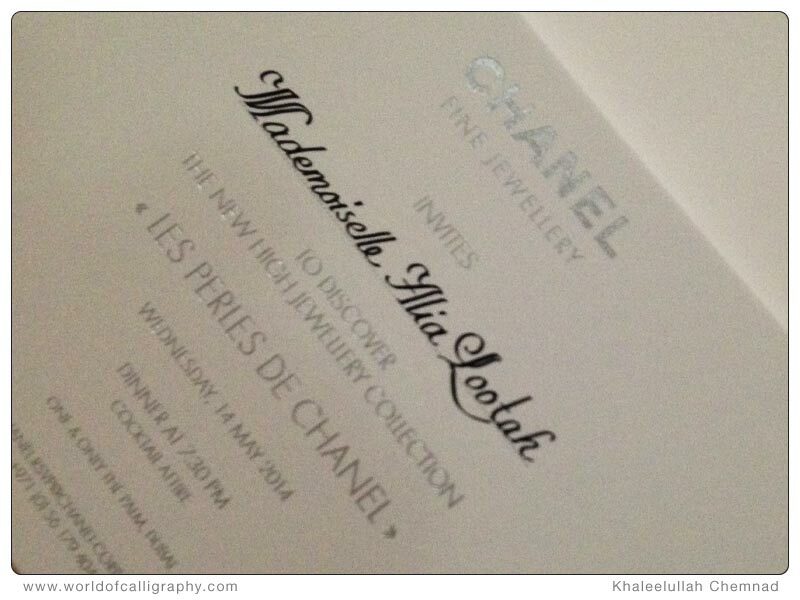 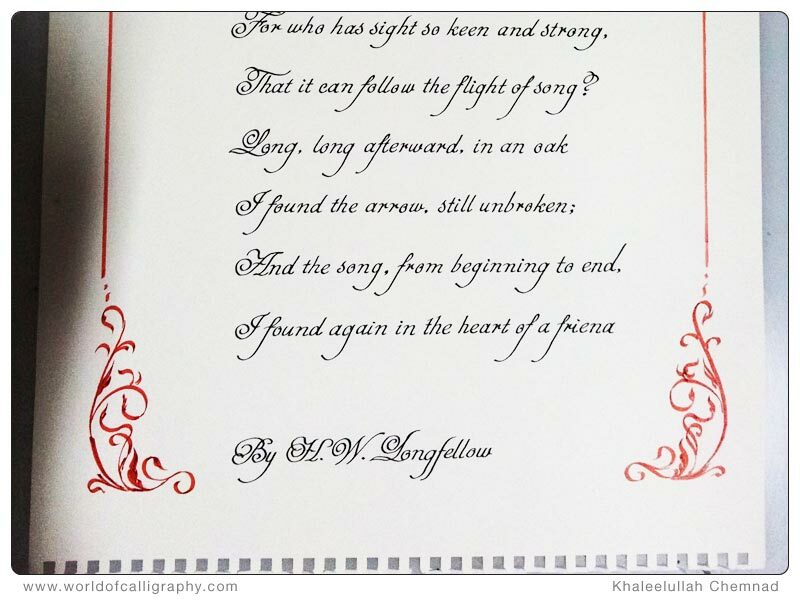 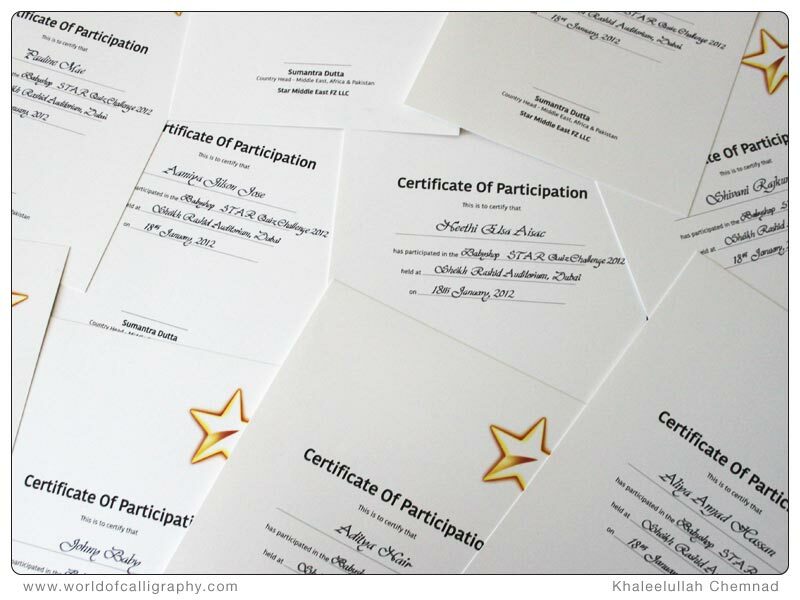 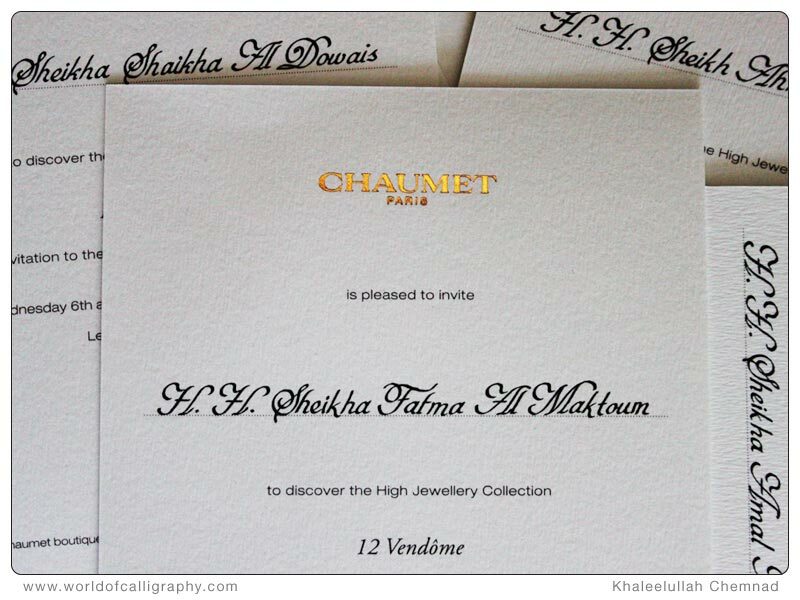 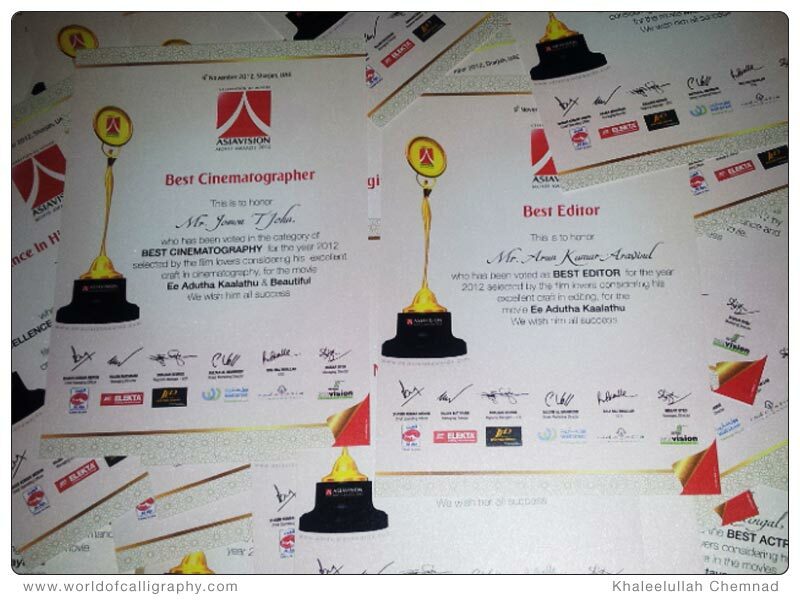 As of today in UAE, Mr. Khaleel is one of the famous calligrapher doing invitation and certificate writing in calligraphy. 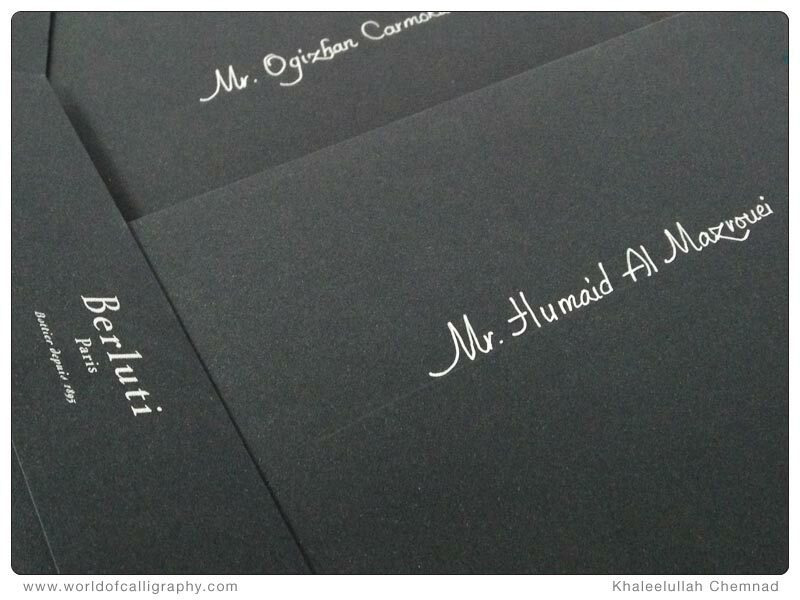 His magical hand is using both Arabic and English languages for the decorative art which is very famous in UAE. 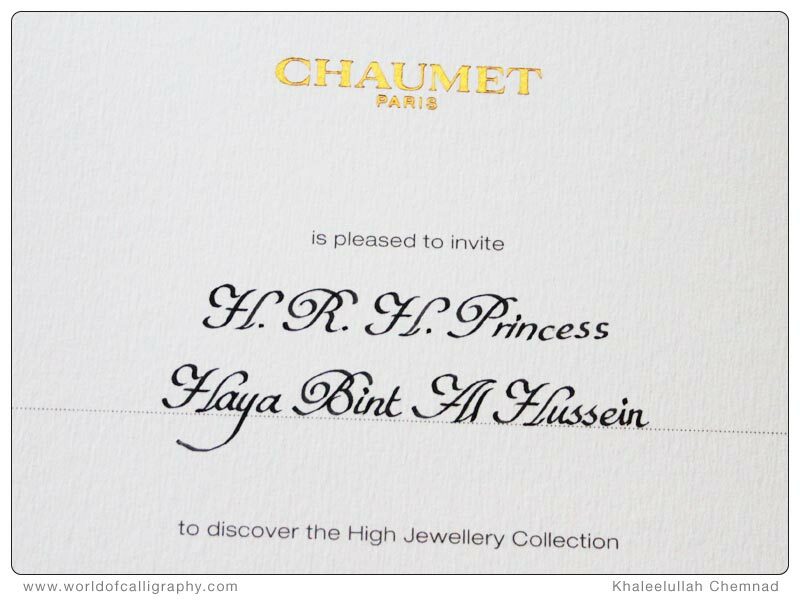 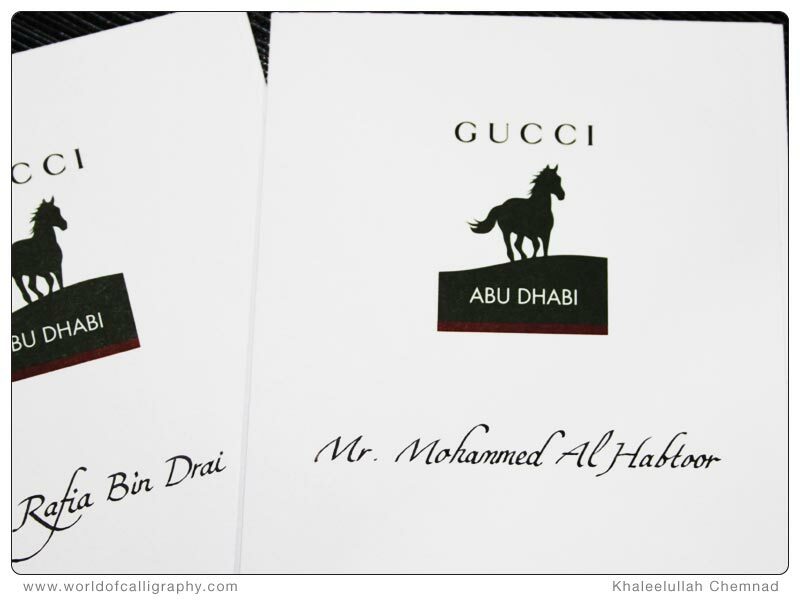 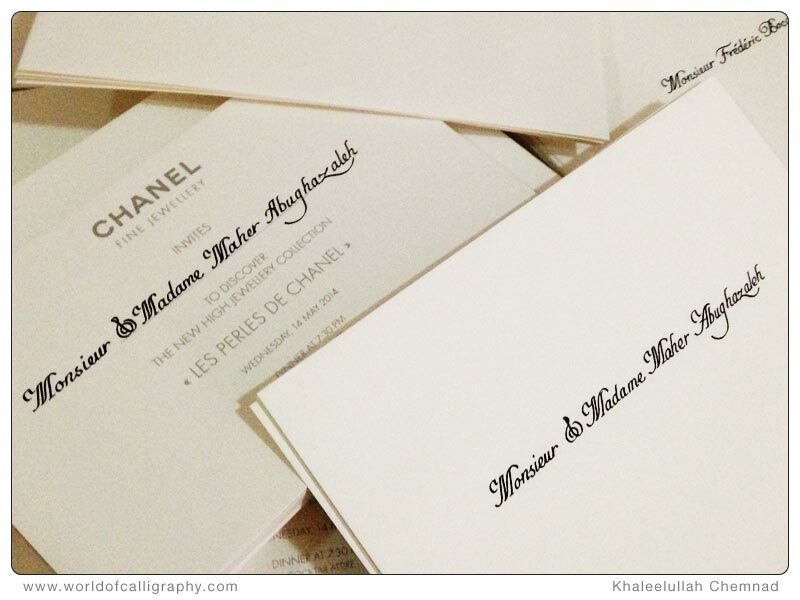 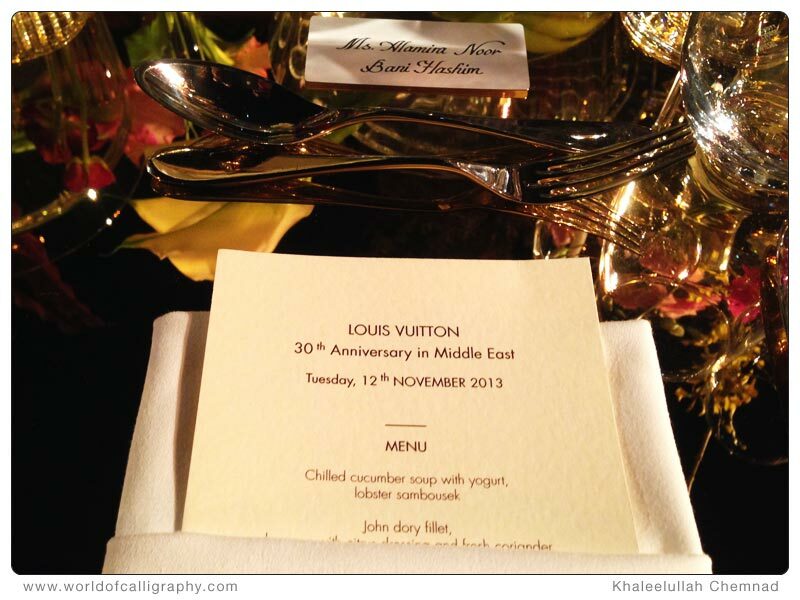 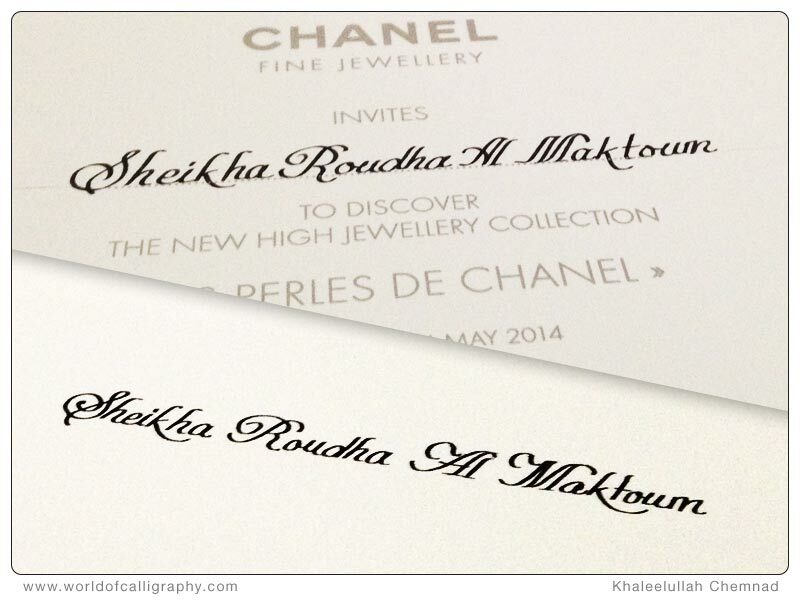 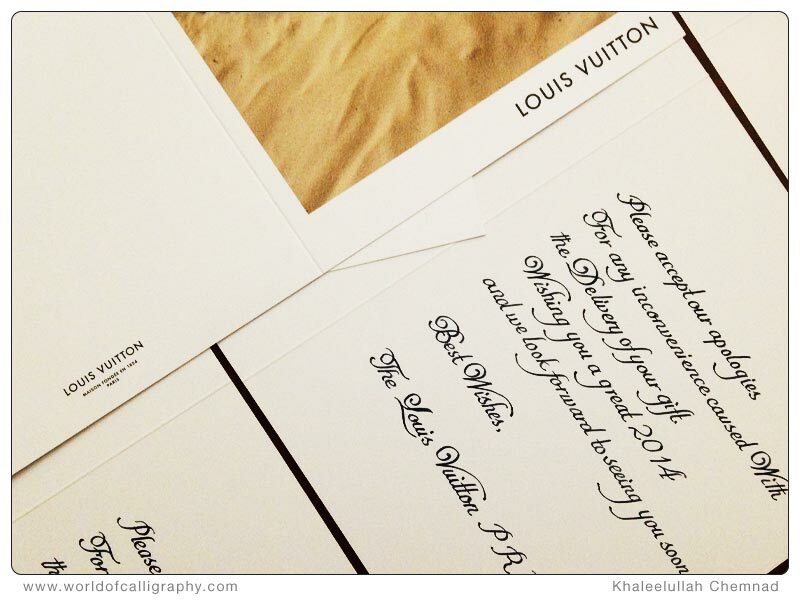 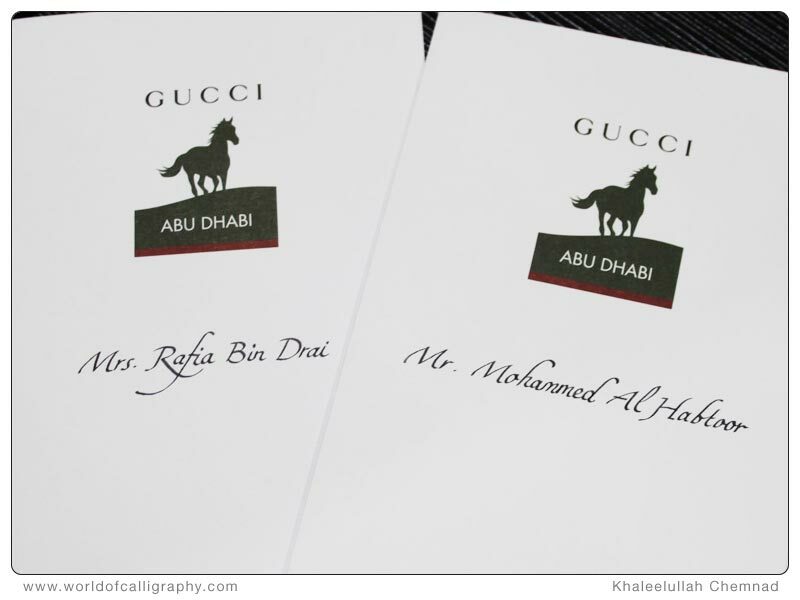 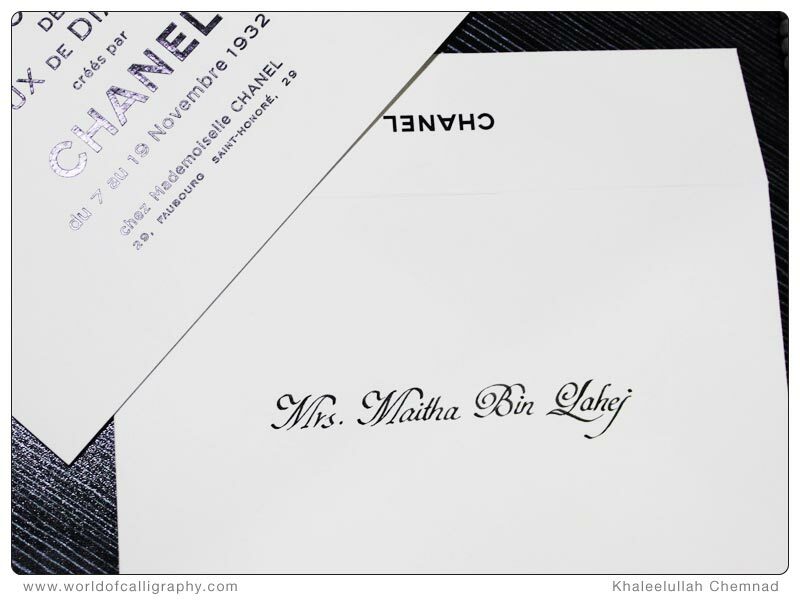 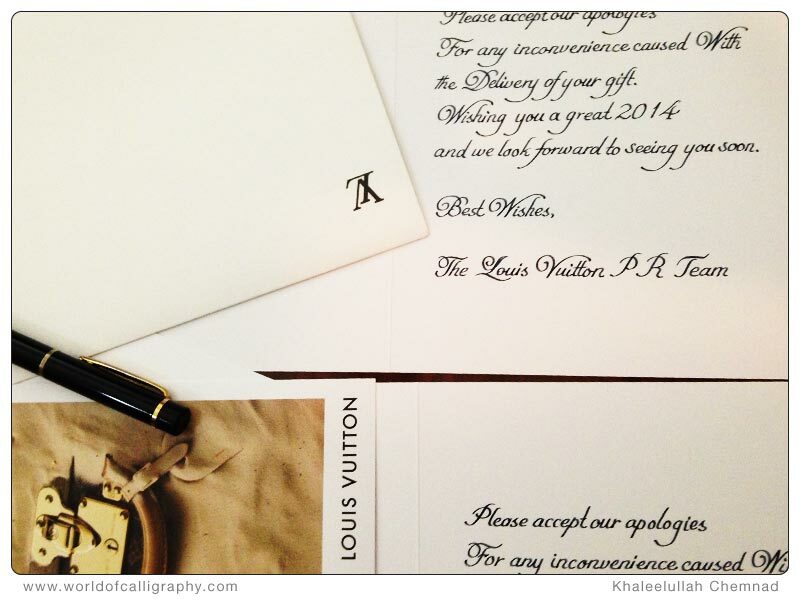 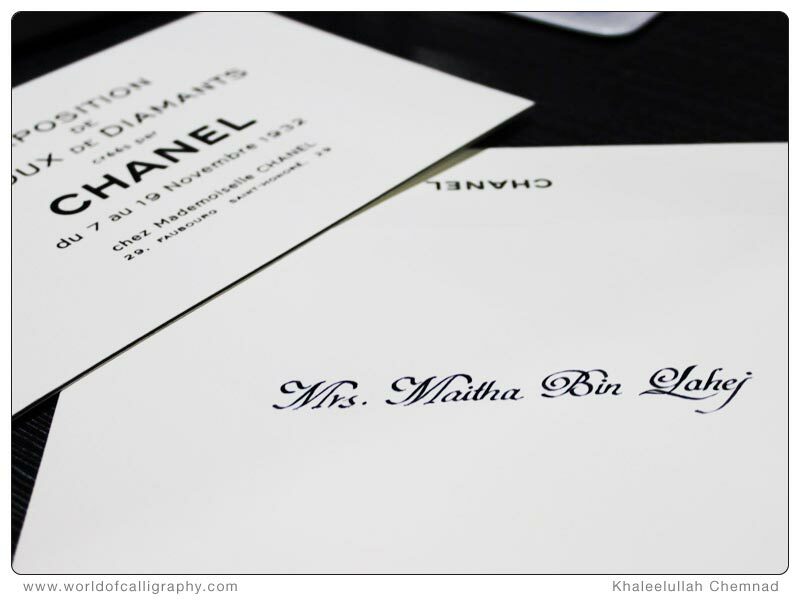 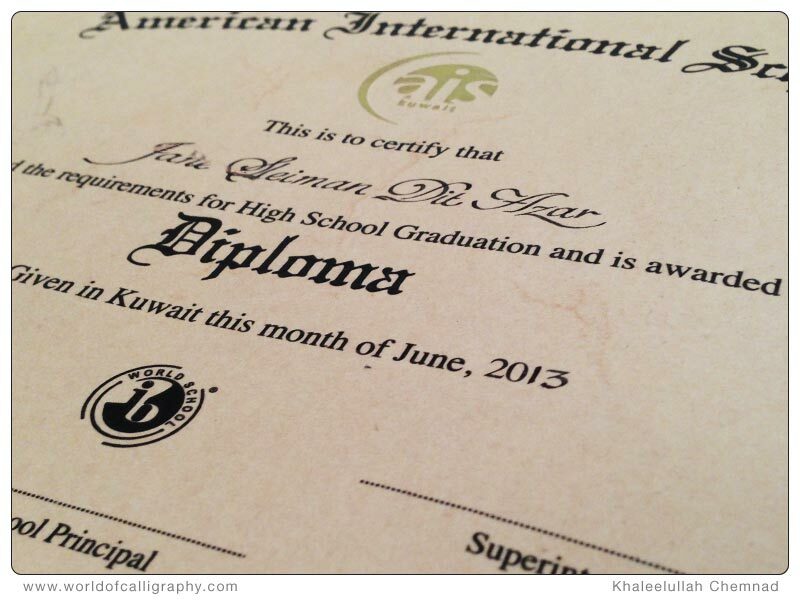 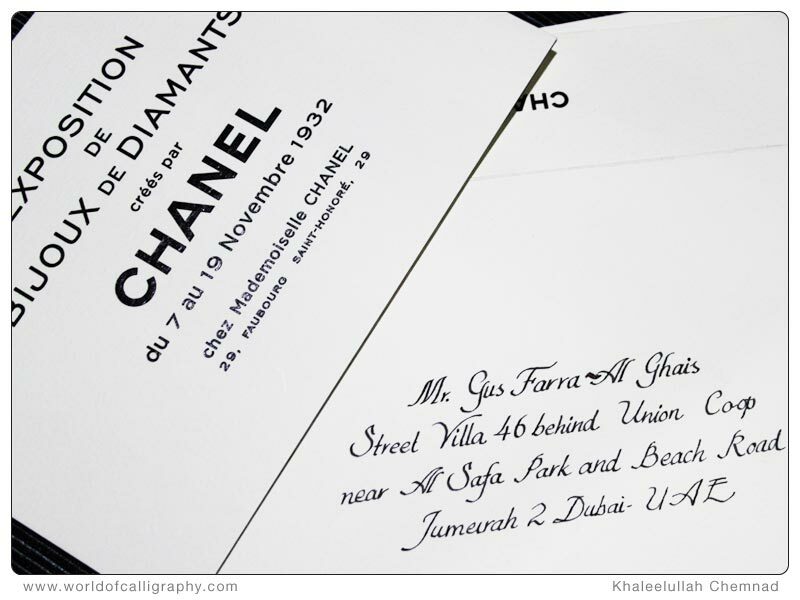 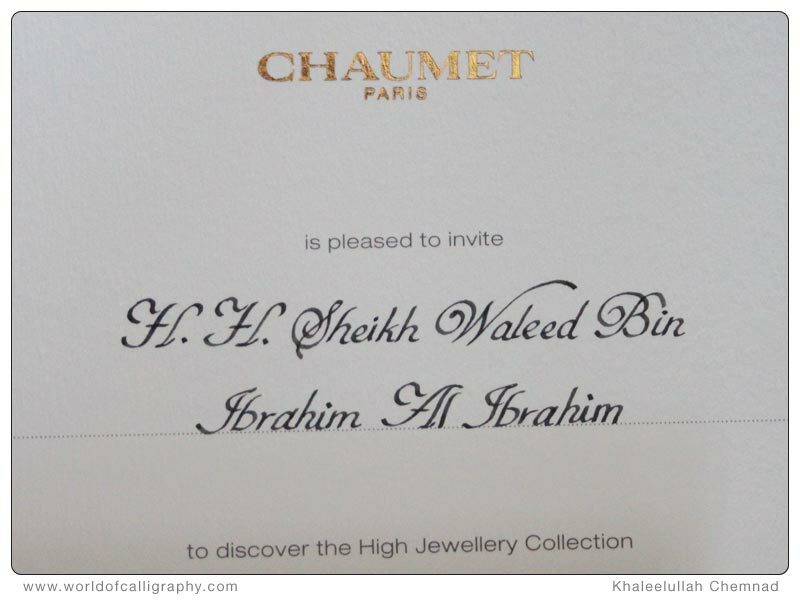 He has done the invitation writing for the leading brands such as Emirates Airlines Certificate, African + Eastern Certificates, Cartier, CHANEL, F1 invitation, Falcon-Dubai World Cup Invitation, GUCCI, BVLGARI, LV etc. 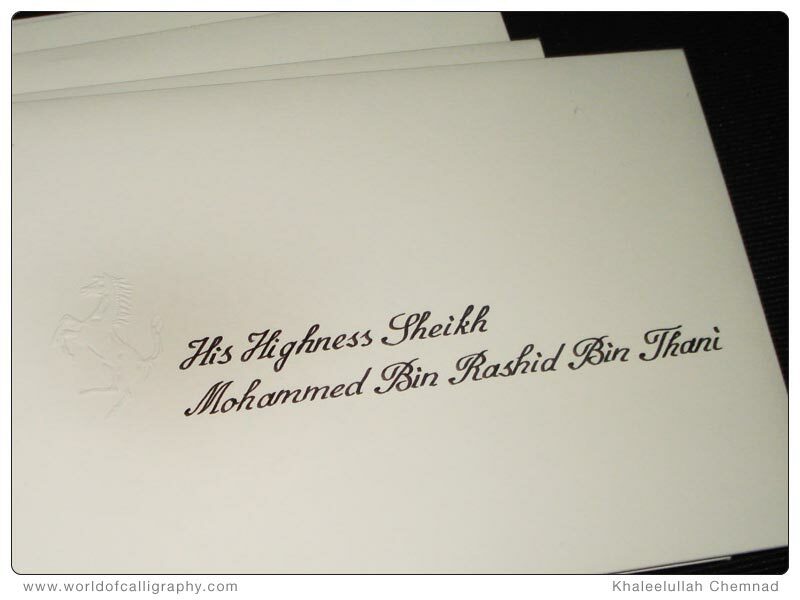 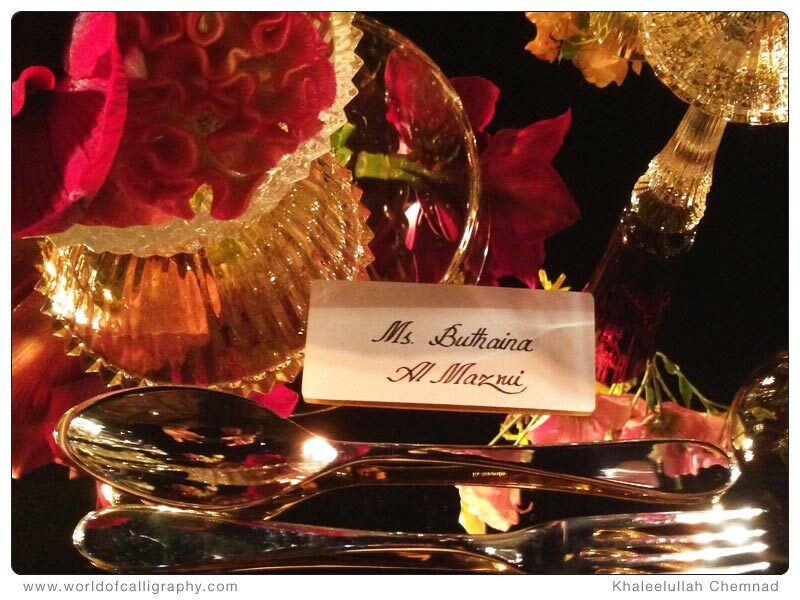 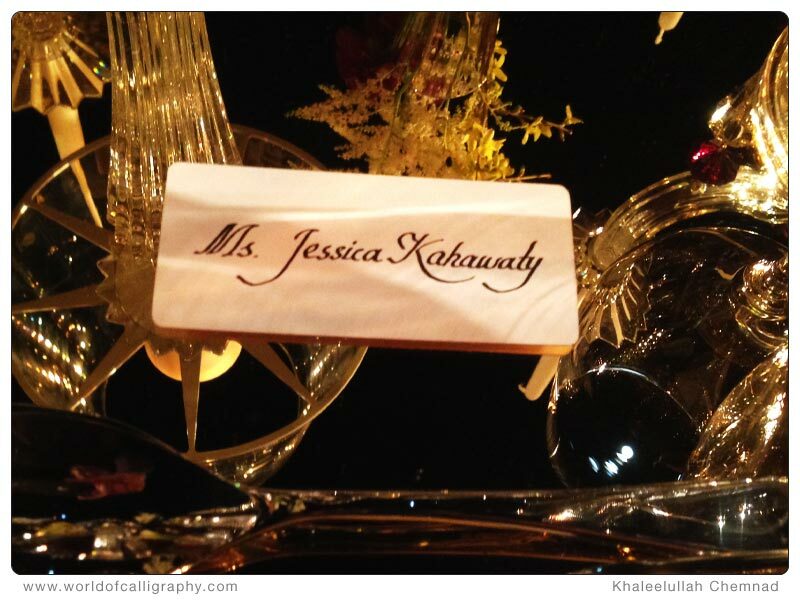 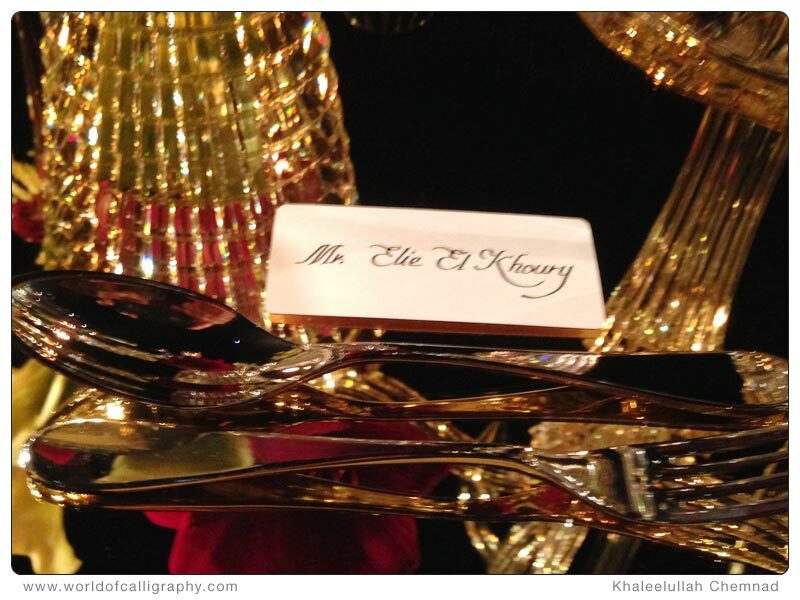 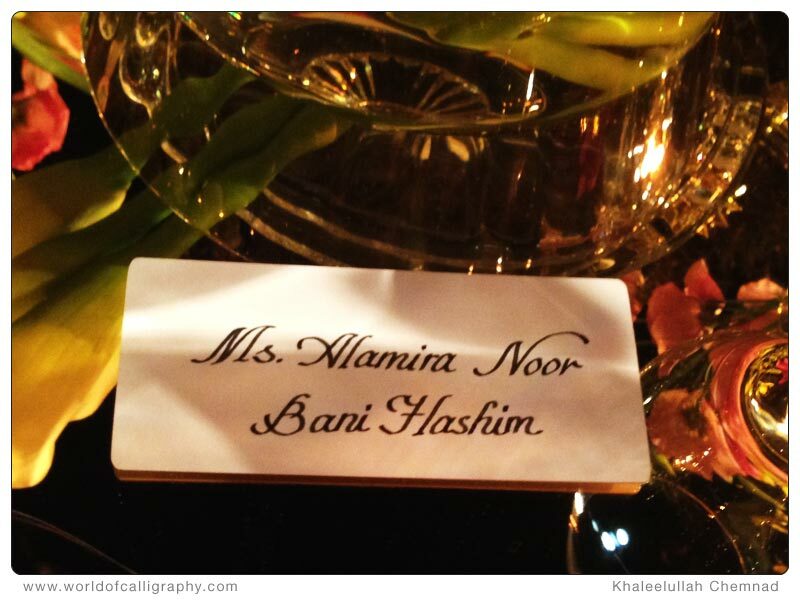 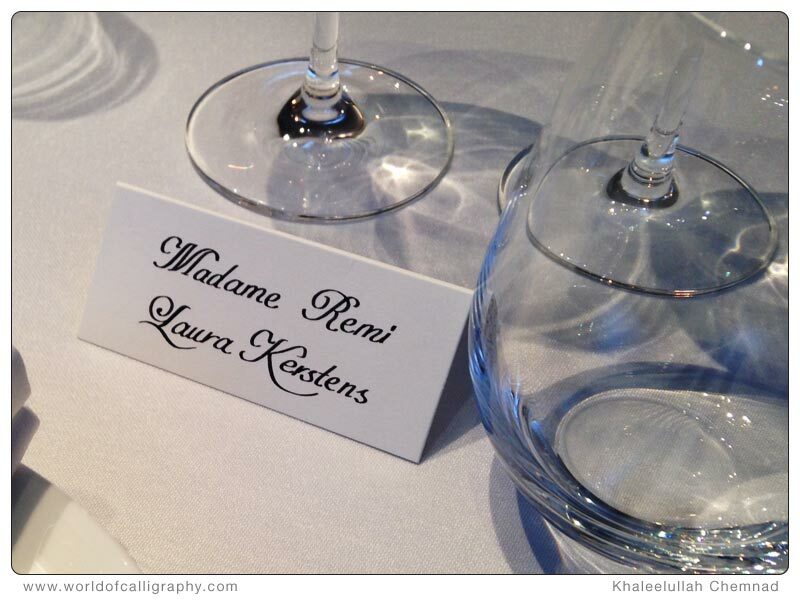 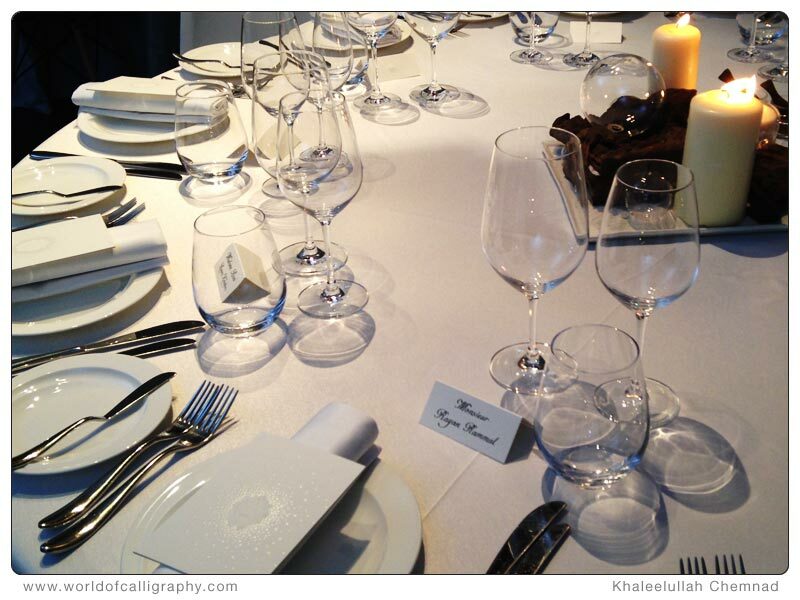 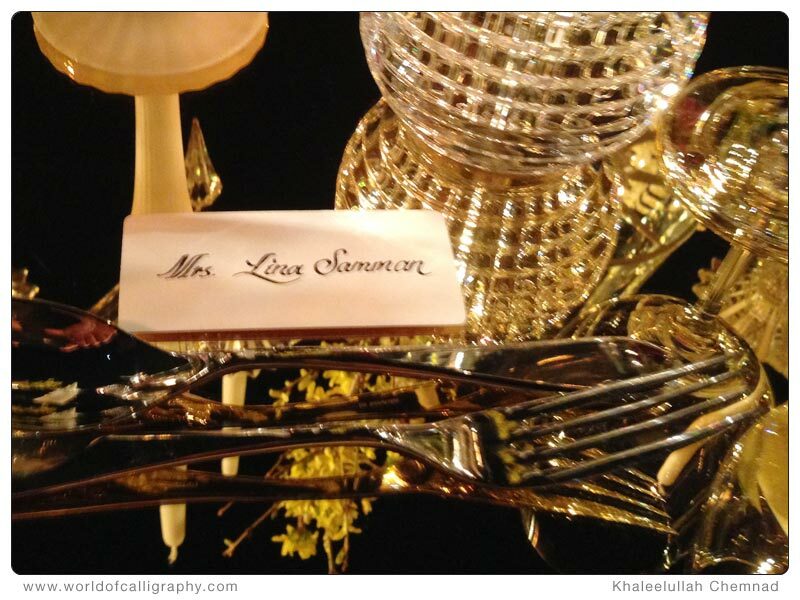 In UAE, about 25 agencies and event companies are depending continuously upon his amazing hand writing skills for the beautiful calligraphy output.